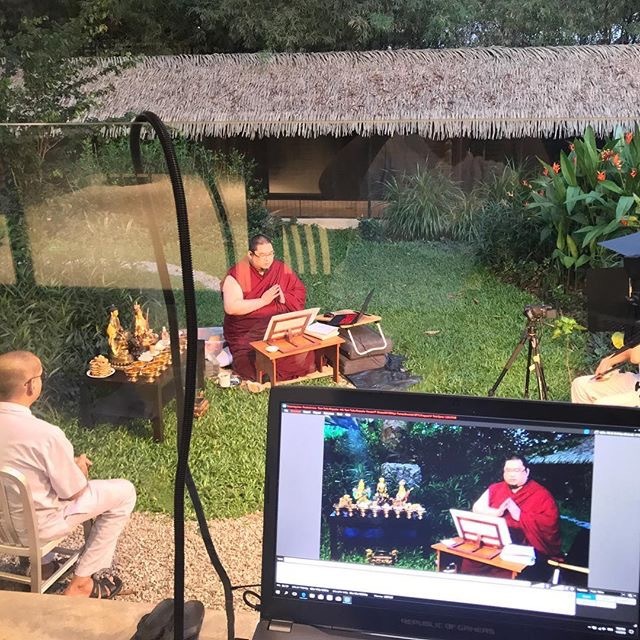 Tsem Rinpoche fulfilling various requests for special prayers. For Rinpoche, prayers don’t need to be complicated. For them to have power, they just need to be performed sincerely. Rinpoche always says that you don’t need to be a high lama, a Rinpoche, some great meditative sage for the Buddhas to hear your prayers. By their very nature, which is that of compassion, the Buddhas will always listen to whatever prayers are done. After all, if the Buddhas only listened to the high lamas and Rinpoches, and not to normal people, then they wouldn’t be enlightened Buddhas, would they? But sometimes, people don’t know the words to say or how to verbalise their deepest wishes, or they aren’t entirely confident in praying for themselves so they request Rinpoche to pray for them and Rinpoche always, always does. You may not know it, but Rinpoche always does because any time someone asks Rinpoche to pray for them, it usually takes a lot for them to do so and hence, the request is almost always sincere. I have to be honest though, this was one of the tougher live-streamings that we did. That evening, we received 220-plus prayer requests which had to be compiled, formatted and then conveyed to Rinpoche. The requests flew in fast and thick, and came from all over the world, including from inside the Tibet Autonomous Region (TAR). But all the hard work is totally worth it when someone comes back and tells you they feel so much better, or it makes a difference to them knowing someone cares. My prayer request to Rimpoche is for me to get a good job with a good pay and position and to have a financial windfall or breakthrough.Thank you.